While many people celebrate St. Patrick’s Day responsibly, some will choose to get behind the wheel of their car while drunk! 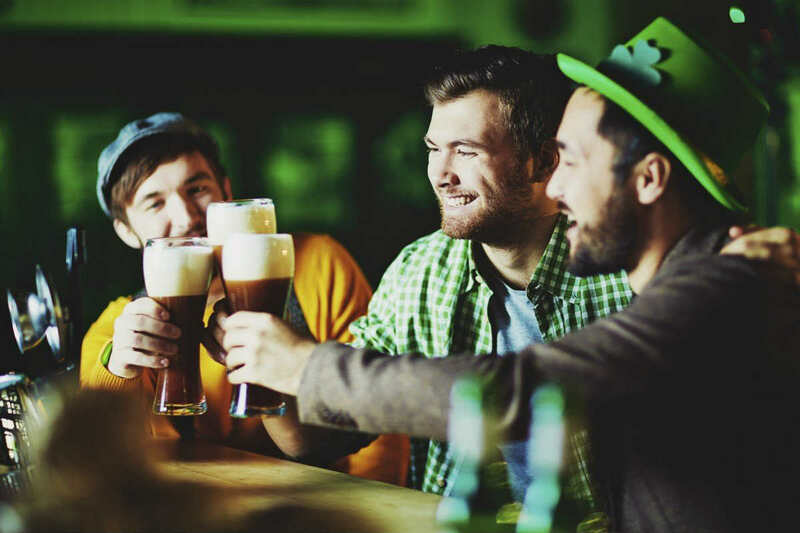 St. Patrick’s Day is a holiday that is celebrated every year on March 17. The holiday began as a religious feast day in honor of the patron saint of Ireland. It has now become an international festival which celebrates Irish culture, food and drink. St. Louis prides itself as a city that knows how to celebrate this holiday. This year marks the 48th annual St. Patrick’s Day Parade. However, while most participants of the parade and holiday festivities will celebrate responsibly, some will not. It is estimated that from 2009 to 2013, more than 275 people were killed due to drunk driving car accidents on St. Patrick’s Day. The problem with many holiday’s can be that they involve heavy drinking as part of the celebrating. Many people drink responsibly, arrange to have a designated driver, get a taxi to drive them home, or stay at the place they are drinking at, like at a friends house. However, other, reckless people, choose to get behind the wheel of a car. Approximately 40% of all driving fatalities are caused by drunk driving. These accidents could have been avoided. If you are planning to celebrate this St. Patrick’s Day, you need to not only ensure you are not on the road driving drunk, but you need to be aware of your surroundings while driving so that you are not the victim of a drunk driving accident caused by a DUI driver in another vehicle. Impairment is not determined by the type of alcohol but by the amount that is drunk over time. The average person metabolizes alcohol at approximately 1 drink per hour. If you or a loved one are the unfortunate victim of a car accident due to a drunk driver, contact The Hoffmann Law Firm, L.L.C. Drunk driving, whether it results in a car accident or a truck accident, is a tragedy that should have been avoided. We will help you obtain the maximum amount of compensation for your claim. While no amount of money will make things right, we can at least help you avoid further complications from your drunk driving accident. Call us at (314) 361-4242 or fill out our online contact form, to schedule a free and private consultation. The amount of compensation you receive from an injury claim is important for your future — choose your lawyer carefully and stay safe this St. Patrick’s Day.